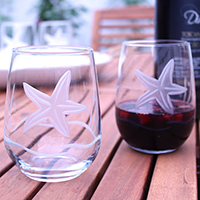 Rolf Glass is an American glass cutting and engraving manufacturer, a leader in quality tabletop giftware andpersonalized gifts. Rolf Glass is well known for unique, original, distinctive images, and timeless icons on quality crystal and glassware. Rolf Glass now offers glassware for every corner of your home! Just in time for summer, Rolf Glass presents the Dragonfly Bud Vase! Standing 8 inches tall and stable enough for a single bud, small bouquet, or floating votive candle, these beautiful bud vases are guaranteed to cast a warm and whimsical glow in your home. Dragonfly by Rolf Glass is a charming way to usher in a feeling of summer fun. Bright and clear with the silhouette of a dragonfly fluttering over blades of glass artfully diamond-wheel engraved across its surface. The attention to detail and charming design makes this a wonderful gift for anyone with a bit of whimsy in their heart! Dishwasher safe and 100% made in the USA. 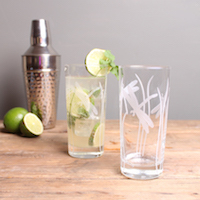 The Dragonfly collection comes in a wide array of barware, stemware, and home accents. 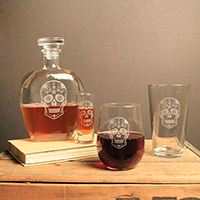 This collection is an ideal wedding gift or a charming addition to your own home bar or everyday glassware set. Rolf Glass is an American glass cutting and engraving manufacturer, a leader in the highest quality tabletop drinkware and personalized glassware gifts. Rolf Glass is well known for unique, original, distinctive images, and timeless icons on quality crystal and glassware. Rolf Glass’s unique cut glass studio produces affordable and attractive designs for everyday use as well as special occasions. Located in Western Pennsylvania in the historic glassmaking town of Mt. Pleasant, Rolf Glass prides itself on exceptional customer service. In 2018 they launched a new logo and website where both consumers and wholesalers can buy glassware. Rolf Glass can be found in several hundred independent retail locations throughout the United States and the Caribbean. Rolf Glass is excited to bring you two new additions to the Good Vibrations collection that launched in 2017. 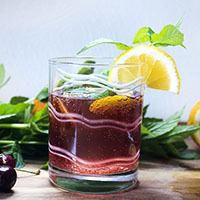 The success of this contemporary line has made way for the Double Old-Fashioned and the Cordial Shot glasses. A bold wavering diamond wheel cut spiral echoed by a thinner parallel line will take you on a mind-bending ride from the beginning of your cocktail to the end. Picking up the Good Vibrations design from Rolf Glass is sure to give you excitations. Dishwasher safe and 100% made in the USA. The Good Vibrations collection comes in Martini, All-Purpose Wine, Stemless Wine, Champagne Flute, and now Cordial Shot and Double Old-Fashioned. This collection is an ideal wedding gift or a charming addition to your own home bar or everyday glassware set. Rolf Glass is thrilled to announce the Rue Orleans collection. Inspired by the decorative street (rue) signs of New Orleans, we make no promises that you won’t get lost in the romance of one of the worlds’ dreamiest cities while enjoying your favorite cocktail in these glasses. Although there are many amazing streets in New Orleans, we have picked our four favorites for this collection. The hot spot for fun and excitement, world-famous Bourbon Street is a "must-see" on any New Orleans itinerary. The heart and nerve center of downtown New Orleans, Canal Street is where your Crescent City adventure begins, with fun things to do in all directions. Antiques and art galleries, world famous restaurants, historic hotels and awe-inspiring architecture – find it all on Royal Street. From the Garden District to Uptown, Magazine Street is a haven for second-hand bargain hunters, coffee shop connoisseurs and those who enjoy casual dining. Dishwasher safe and 100% made in the USA. The Rue Orleans collection come in mixed sets of 4 (one of each design.) 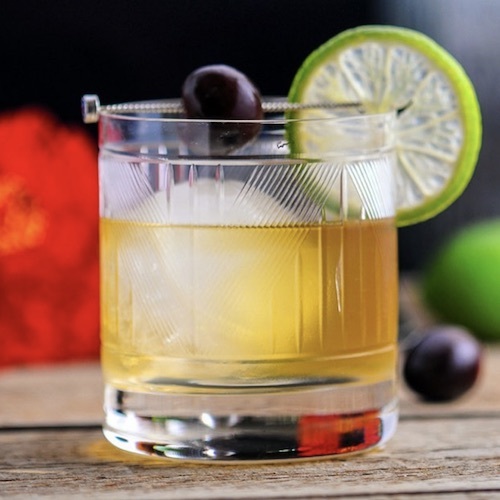 These Double Old-Fashioned glasses are sure to be a delightful reminder of your love of the Big Easy. Makes an ideal wedding gift or a charming addition to your own glassware collection. Rolf Glass has partnered with Colonial Williamsburg once again to bring you York Compass Rose©. Delicately cut and sand-etched, this collection employs a rare dual-process approach to engraving that makes it a uniquely Rolf Glass product. A compass rose is the navigational marker traditionally used on maps to indicate direction. The device appears on Captain John Smith’s Map of Virginia, based on his explorations of the new colony from 1606 to 1608, and published in London in 1612. Smith’s depiction of the Native American settlements in the New World is considered one of the most important maps ever produced. A 1624 edition is a jewel among collections of the Colonial Williamsburg Foundation, and serves as the inspiration for the York Compass Rose© collection. York Compass Rose© comes in a classic USA made 14oz Double Old-Fashioned glass as well as a bold 28oz European mouth-blown, lead-free crystal decanter. This handsome collection makes a perfect retirement, graduation or birthday gift, and is a must have for every home bar. A Deco inspired mix of delicate diagonal lines and bold vertical lines are brilliantly polished and complement each other beautifully. Much like the NYC street that was once known for its intimate dive bars filled with the rebellious music of the 60s that now prides itself on the high-end boutiques of the in vogue elite, Bleecker Street from Rolf Glass has an eclectic appeal that’s sure to satisfy. Nothing finishes off the day like a delicious beverage in your favorite glass! Dragonfly by Rolf Glass is a charming way to usher in a feeling of summer fun. Bright and clear with the silhouette of a dragonfly fluttering over blades of glass artfully diamond-wheel engraved across its surface. The attention to detail and charming design makes this a wonderful gift for anyone with a bit of whimsy in their heart! Mad Men inspired Mixologists finally have the perfect collection of glassware to showcase their talents and shine. Whimsical etching individually accents each glass with a different Mid-Century design. 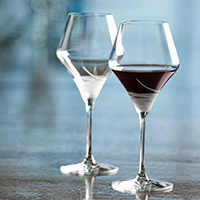 Prepare and serve any martini, margarita, Bellini or Bordeaux in any of the shapes or sizes. Free yourself from the expected and become extraordinary.